Originally so called because they were first introduced as standard wall surface cover in New York subway train stations in the early 1900s, subway tiles are traditionally characterized by their flat, white & glossy glazed surfaces and pencil-thin grout lines. The first subway tiles to be used were 3x6 ceramic glazed tiles. Their durability & ease of cleaning made them perfect for public spaces, and owing to their graceful simplicity these classic tiles soon made their way into kitchens & bathrooms of pre-war homes as well. Most commonly, subway tiles are applied horizontally with very thin grout lines. But novel takes on the original designs have led to multiple styles & colors, allowing for striking pattern-making options. 1) Ceramic: these are the classic type of subway tile and have been used on the walls since long. Generally 3x6 inches in format, of late these tiles are being given bigger sizes like 4x10 & 3x12 inch formats. 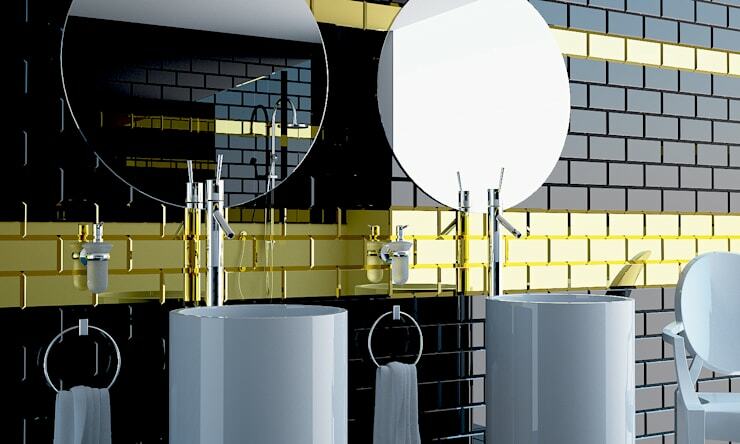 Ceramic subway tiles are available in different colors but usual standards are white or black. 2) Beveled ceramic: a variation of ceramic subway tile, the beveled edge design imparts the look a jazzy raised dimension. Still classic & clean, the beveled tiles are more modish looking and come in 3x6 & 4x10 formats. 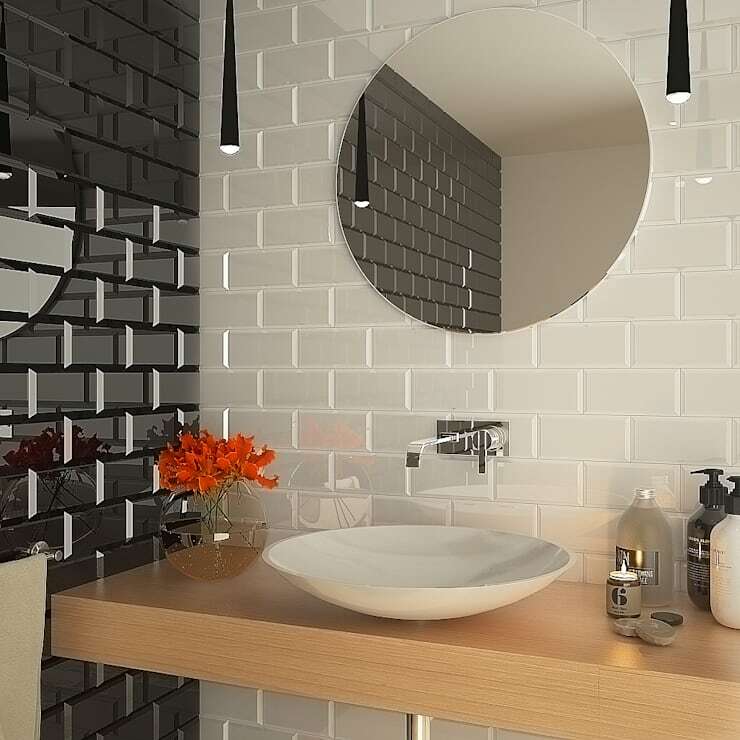 Typically installed in a classic brick-joint pattern, the beveled ceramic subway tiles can conveniently be installed horizontally or vertically as well. 3) Double fired ceramic: In the double-fired process of manufacturing these, the tiles are fired and then glazed and then fired again. This lends the tiles a chic old-fashioned appearance. This process draws from the original way the subway tiles used to be made. 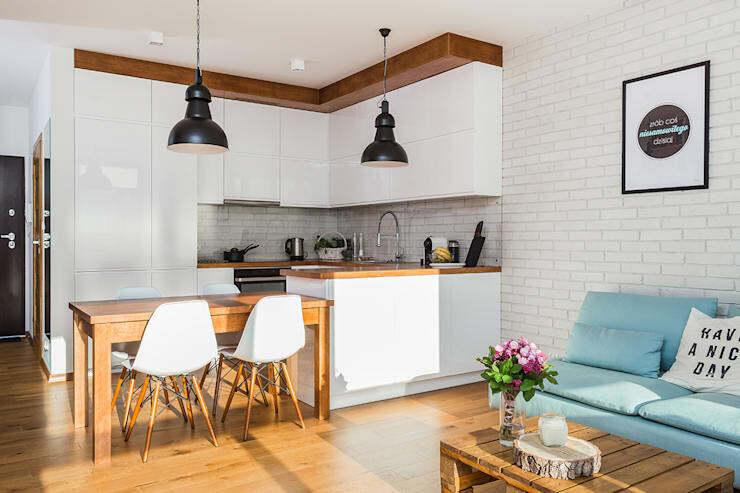 The double fired ceramic subway tiles are available in 3x12 & 3x6 formats, and are designed to be used with multiple colors so a blended color palette can be easily created. Marble subway tiles are also an elegant variety of tiles that work better in a vertical application. Since these tiles vary a bit in length & width, the verticality gives the illusion of higher ceilings. Using subway tiles in the kitchen. Although they may exude a traditional vibe, kitchen subway tiles are a timeless classic. Versatile and adaptable to suit any kitchen & style, subway tiles can be employed to give the kitchen walls as well as backsplash a visual allure. A variety of color, pattern & tile combinations are possible. The thickness & color of grout lines can also change the look significantly. Thick grout lines draw more attention to the tiles, so if colored tiles are used then the color is highlighted more with thicker grout. This kitchen backsplash has white subway tiles with white grout lines that are adding to the brightness. However, dark grout lines are easier to maintain clean as compared to white grout. Also, the dark grout lines impart an old-world essence to any subway tile motif, making it pop & adding an extra dimension to it. 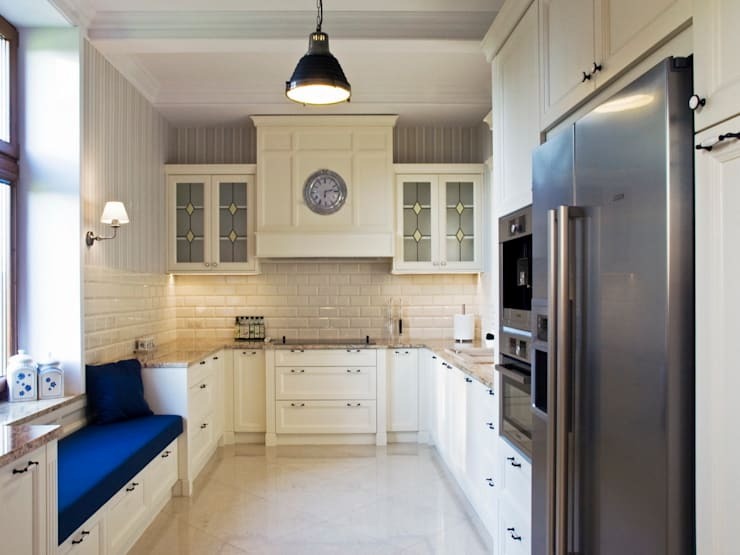 This one has white subway tiles with white grout for walls as well. This modern, white bathroom looks exquisitely classic with white subway tiles. When covering the bathroom walls partially, generally the lower half of the walls is clad using tiles, so that all the spillage from the sink, toilet and bathtub can be conveniently cleaned. Be it the walls, the shower area or simply the walls segment housing the washbasin, using subway tiles offers a sea of elegant possibilities of colors & patterns to bedeck the space. Subway tiles are ever so fashionable and so versatile that they fit all kinds of styles, from traditional to contemporary. Subway tile is the best option if you want your bathroom to retain its decor value through the years. When applied in straight, tight lines, the generally inexpensive subway tile looks quite rich, lustrous and very opulent. This classic bathroom boasts of a conventional horizontal application of 3” x 6” pastel green marble subway tiles with white grout, covering the shower from floor-to-ceiling. Light falls on the smoothly finished tile surface, filling the entire bathroom with a neat sheen. The glass walls of the shower cabin, the bright lighting and the reflection from the mirror add to the radiance. When applied in straight, tight lines, the generally inexpensive subway tile looks quite rich, lustrous and very opulent. 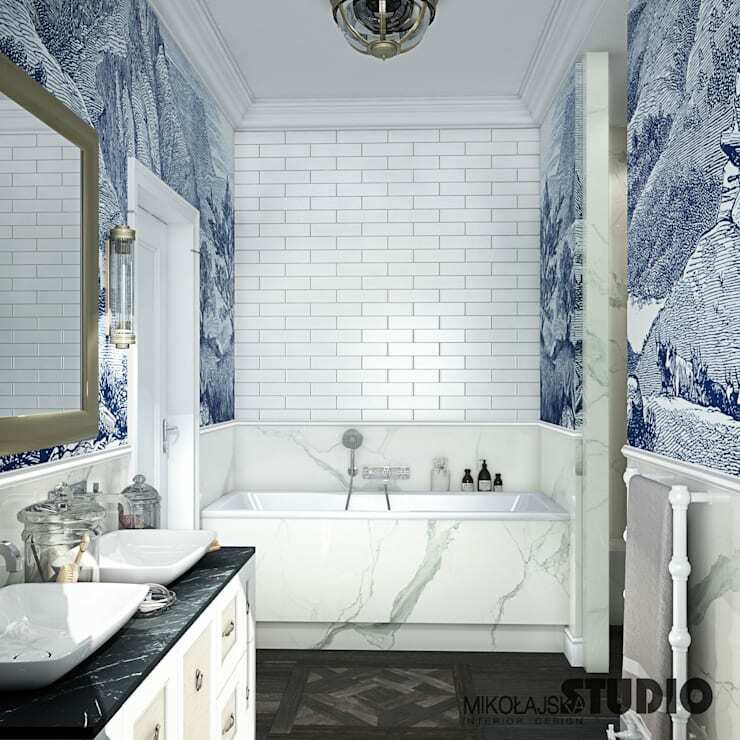 The pencil-thin dark grout lines accentuate the white color of the subway tiles, adding to the fantastic contrast with the wallpaper, the white marble detailing, the black designer floor and the glossy black granite washbasin counter. With the dark grout, the subway tiles ring in an old-world charm that works beautifully with the voguish modern accents sitting in this bathroom. 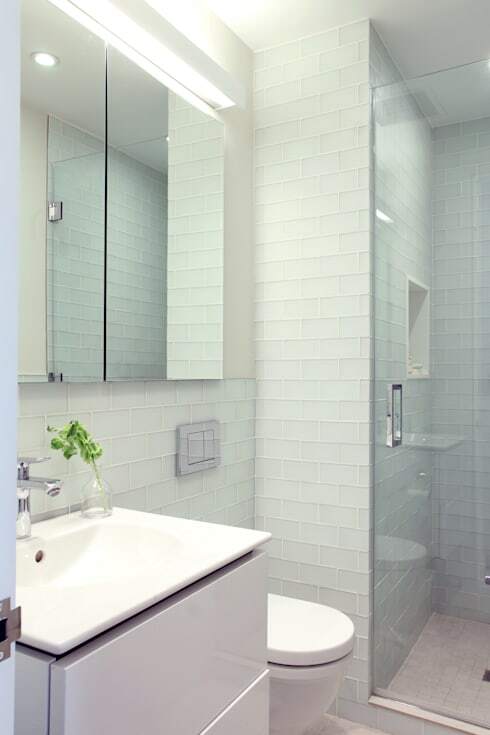 Glass subway tiles: the latest trend. Lately, glass subway tiles are selling like hot cakes and people are making a beeline for these swish looking tiles to pimp up their kitchen, bathroom, shower as well as fireplace surrounds. Glass subway tiles are available in a multitude of colors, sizes including 2x4, 2x6, 3x6, 4x8, 3x12 formats, and finishes like frosted & glossy. Glass tile is durable, frost resistant by nature, and easy to clean. Creating a style mix of ceramic and glass ones is also a good idea to refresh the home spaces. A tasteful blend of vertical, horizontal and herringbone patterns of subway tiling is a good way to add an extra edge to interior spaces. Did the idea of using subway tiles hit home with you? Take a look here for some smashing bathroom tile combinations and book a free consultation with our professional experts to know the best suited ones for your spaces!